Welcome to Skydive Spaceland San Marcos! We’ve been skydiving here in San Marcos, right between Austin and San Antonio, since 1984. 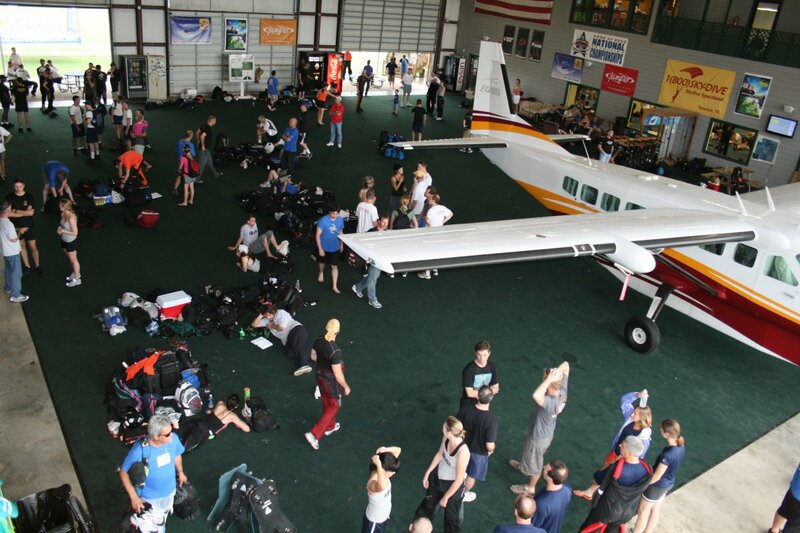 We enjoy the benefits of flying from our own private airport with a large landing area and lots of amenities to make your skydiving experience world-class, whether it’s your first time or your ten thousandth! In September 2018, Skydive San Marcos was purchased by Steve Boyd, owner of the Skydive Spaceland family of skydiving centers. 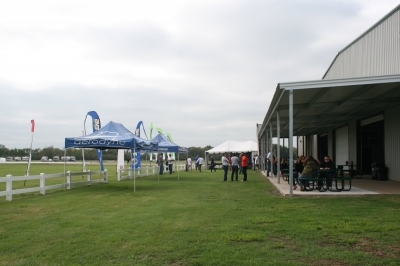 Spaceland San Marcos is the fifth Skydive Spaceland location and the third in the great state of Texas. Established in 2000 by the Boyd family, Skydive Spaceland-Houston is a three-generation family drop zone/skydiving training center specializing in innovative, constantly refined skydiving education just south of Houston, Texas. Built from the ground up exclusively for parachuting on a 130-acre private airfield, our skydiving center hosts around 100,000 skydives annually and has hosted several state and national freefall skydiving records in addition to the U.S. National Skydiving Championships (2009). 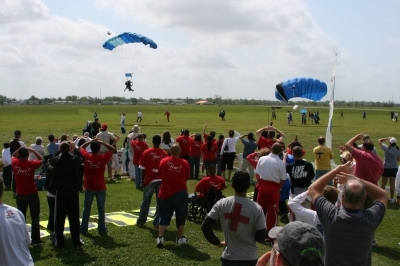 If you are looking to skydive for the first time (tandem skydiving) in Houston, bring it on over here! Our facility and staff stand ready to give you the freefalling time of your life whether you’re looking to fly by yourself, bring a couple of friends, or throw down a big skydiving party or corporate retreat/team-building event. Our aircraft will allow several tandem skydivers to jump from the same flight, and we have a tasty deli ready for your skydiving appetite once you land. We are open every day but Christmas, from 8 am to 6 pm on weekdays and 7:30 am to sunset or later on weekends. 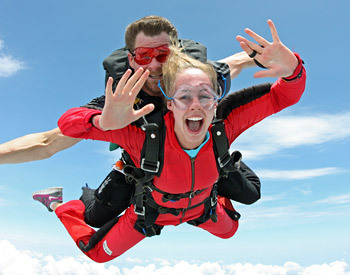 Skydive Spaceland San Marcos conveniently serves Texas parachutists in the San Marcos, San Antonio, and Austin areas. However, we also routinely host skydivers from around the world. 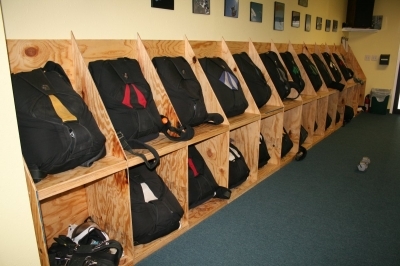 One of the reasons jumpers come here for freefall and parachute training is because we are a high-volume, busy drop zone that’s open 7 days a week, allowing our customers to get their basic skydiving A license in as little as a week. Another is that our program is, quite simply, one of the biggest and the best. 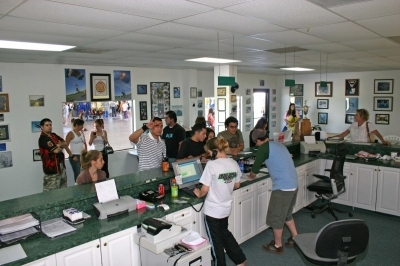 Skydive Spaceland graduates more than twice as many skydivers to their basic (A) license than any other skydiving school in the United States. We’ve had friends visit us from as far away as Germany, Japan, and Australia solely to learn to skydive with us. Our staff is the best in the business, with thousands of skydives under their belts, an impeccable safety record, and a drive to share their passion for skydiving with you! 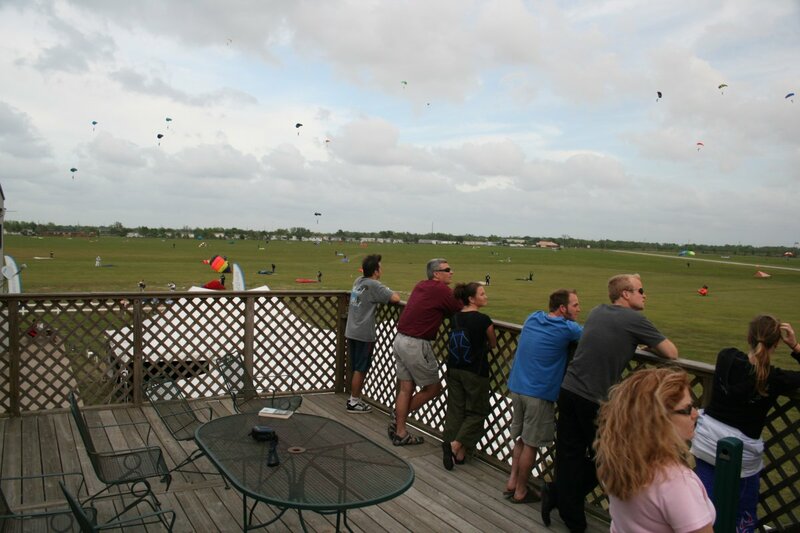 Spectators are always welcome at Skydive Spaceland as well! It is free to park here and watch skydivers day in, day out if you like. Our comfortable, covered back yard provides great views of all the action. And don’t forget our full-service Pro Shop, which provides everything from skydiving souvenirs to complete sets of custom gear. In addition to highly skilled full-time skydiving instructors, Spaceland is also home to professional and amateur skydiving teams, and is always well-represented at the U.S. National Skydiving Championships each year. These and many other highly active skydivers provide an environment where skydivers from first-timers to thousand-jump veterans can continually push themselves to achieve greater skydiving goals. From formation skydiving to freeflying, wingsuiting, angle flying, canopy piloting, and about any other skydiving discipline you can think of, we have you covered here at one of the world’s largest skydiving centers! 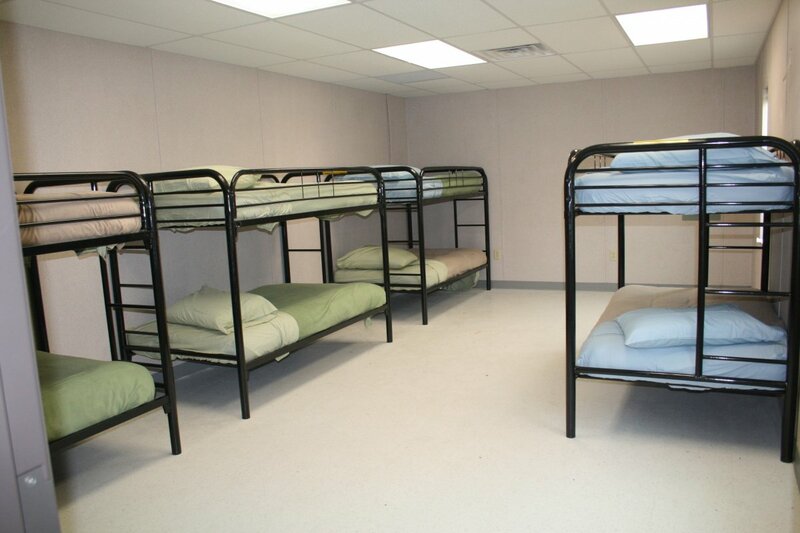 From our bunkhouse to our pool and air-conditioned packing area, we have amenities other drop zones only dream of! Check them out in this slideshow. As one of the world's largest skydiving centers, Skydive Spaceland's large, private facility was built from the ground up exclusively for skydiving operations. We have the most professional, efficient facilities for skydiving in the Houston, Texas area. At Skydive Spaceland, you get to skydive in style! 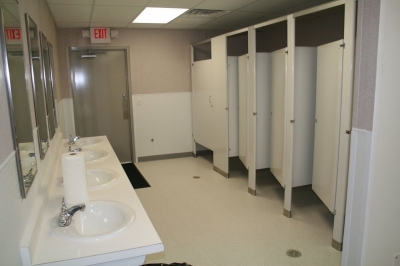 Skydive Spaceland has the newest, most modern facilities for Houston skydiving. 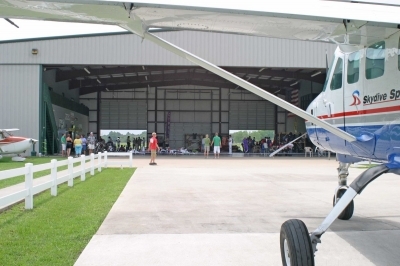 We are located on a 134-acre private airpark in Rosharon, Texas just 30 minutes south of downtown Houston on Highway 288. We are the only sky diving facility in the Houston area built from the ground up exclusively for skydiving. We fly DeHavilland Super Twin Otters in addition to a Supervan and Skyvan (on occasion). The main hangar offers plenty of carpeted space for packing, spectators, aircraft--whatever we need at the moment. Spectators are invited to watch just outside the main hangar, behind the safety fence. The second-story observation deck offers the best view of the landing area. Our spectator area offers a large, roofed concrete pad with tables and benches for your spectating comfort. 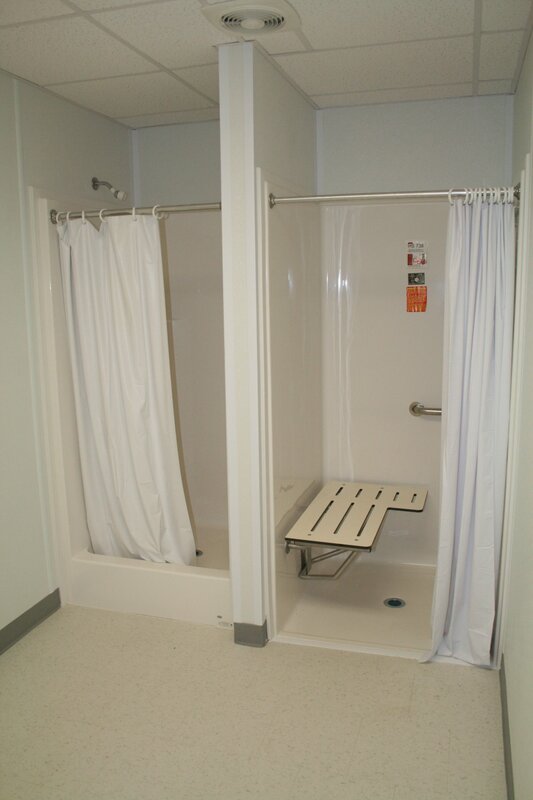 We have two boarding areas with tents and benches where you can sit and wait for your flight in the shade. Our main office handles check-ins, payments, and load manifesting. 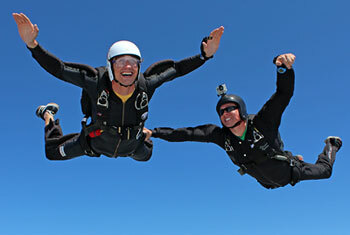 Skydive Spaceland uses state-of-the-art Sigma tandem systems. 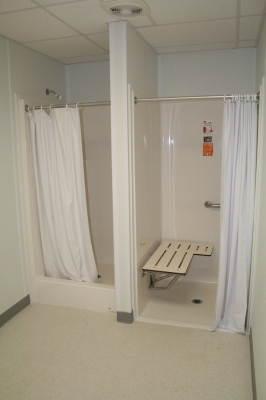 Spaceland offers the rare luxury of a large, air-conditioned, carpeted packing room staffed with professional parachute packers. 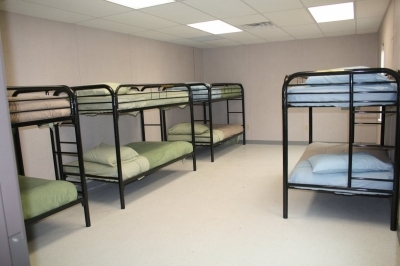 The bunkhouse is available for overnight stays for $15/person/night. We offer numerous restrooms, showers, and laundry facilities. 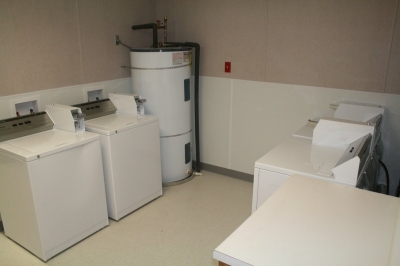 We also offer coin-operated laundry facilities.